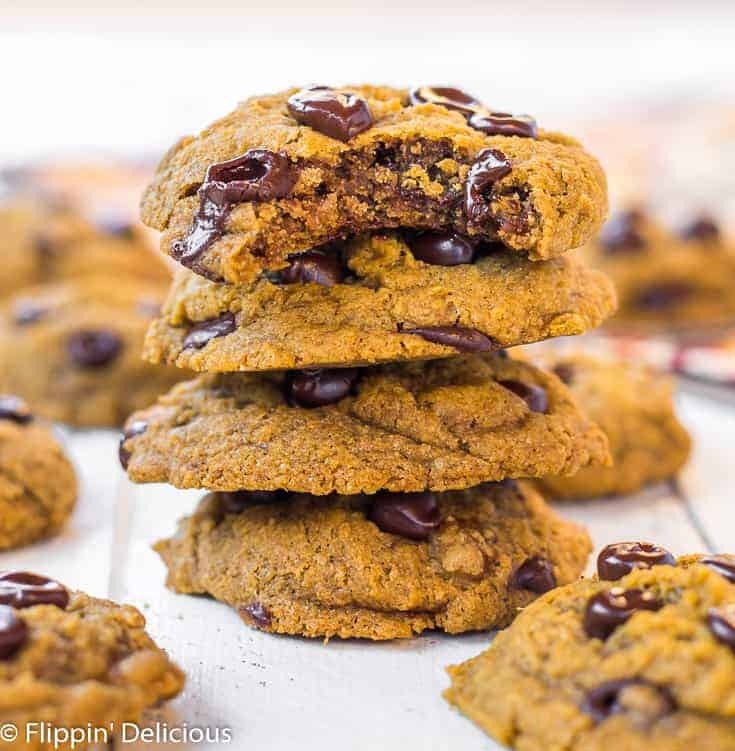 Gluten Free Pumpkin Chocolate Chip Cookies with perfect chewy edges! 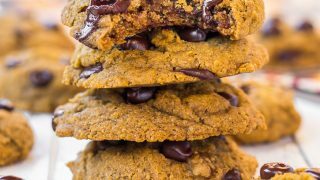 Coconut oil, pumpkin, sugar, gluten free flour, leavening, spices, and xanthan gum make these vegan pumpkin chocolate chip cookies too! Pumpkin and Chocolate Chip has always been one of my favorite flavor combos. Gluten Free Pumpkin Chocolate Chip Muffins were my hands down favorite muffin growing up, and we made them all year round. 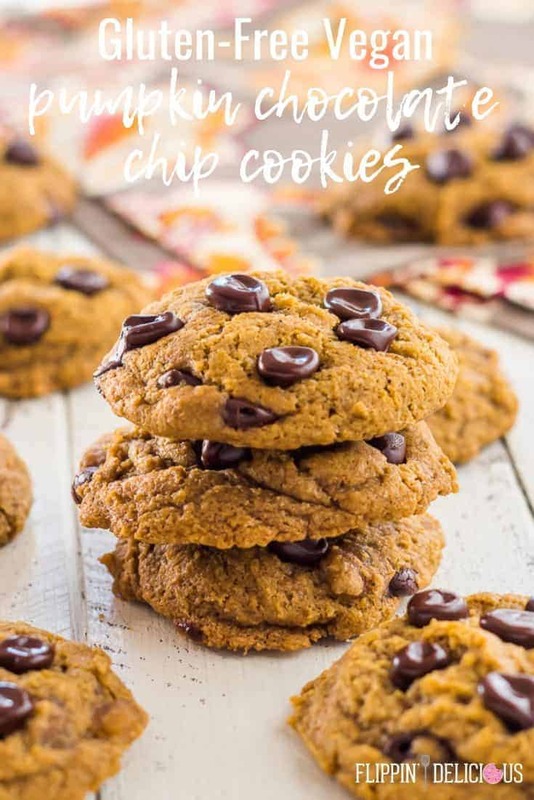 When I wrote The Essential Gluten Free Cookie Guide almost 5 years ago, one of the first recipes I added to my manuscript was a recipe for gluten free pumpkin chocolate chip cookies. A few weeks ago, I pulled out my copy of my cookbook and opened my first can of pumpkin this season. I made a few substitutions to the recipe written in my cookie guide. The gluten free vegan pumpkin chocolate chip cookies were delicious, but they didn’t spread at all and looked funny. The flour I used had absorbed more moisture, preventing the gluten free dairy free pumpkin cookies from spreading and the coconut oil made the batter a bit oily. If you think about it, butter has a small amount of milk solids and liquid in it. It isn’t 100% pure fat! So of course swapping in coconut oil changed the texture of my gluten free vegan pumpkin chocolate chip cookies. 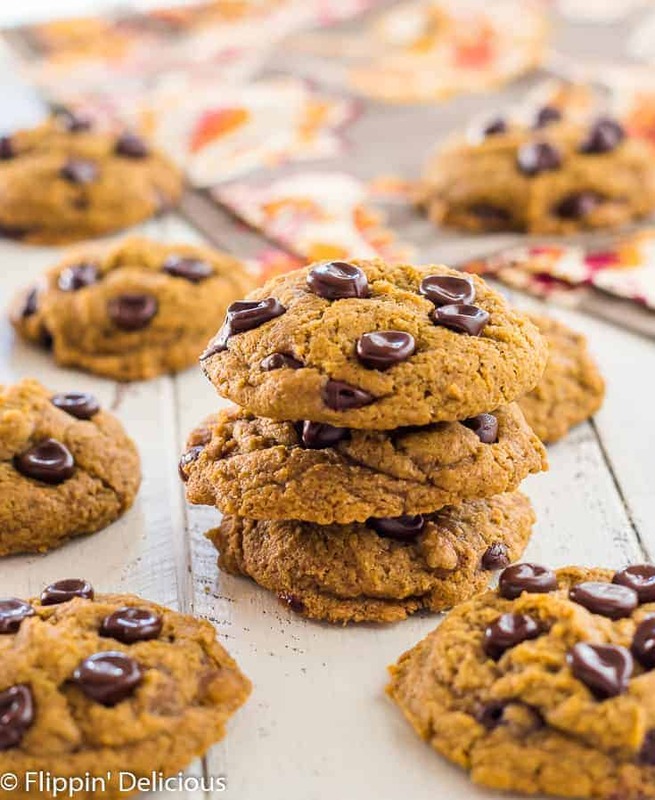 Those delicious cookies sent me on a hunt to make the perfect pumpkin cookies gluten free! Over the past few weeks I’ve made at least 4 different batches, with lots of variations within each batch after I baked a test cookie and testing chilling the dough vs not chilling. 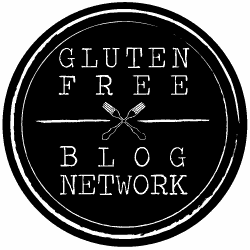 How to make gluten free chocolate chip cookies vegan? Pumpkin adds a lot of moisture, so creating a chewy cookie was a struggle. One thing that I had already done was omit the egg that would normally be in a cookie because the pumpkin provides all the binding and moisture that is needed. 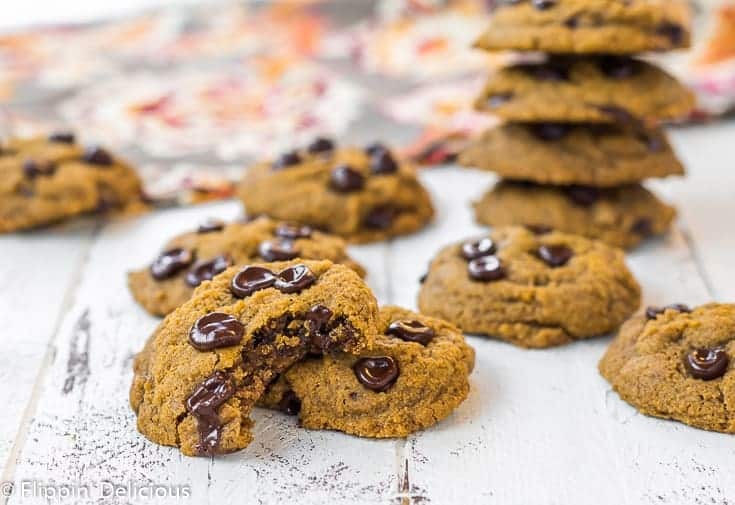 Because I swapped the butter for coconut oil, this gluten free pumpkin chocolate chip cookie recipe became naturally vegan! Because an egg also adds some lift to a cookie, I added some baking powder to the cookie in addition to the baking soda, which helps the cookie spread evenly. I also added more baking soda than was in the original recipe to help the cookie spread enough. The biggest change I made was in the amount of sugar in the recipe. My original gluten free pumpkin chocolate chip cookie recipe had ¼ cup white sugar and ½ cup brown sugar. 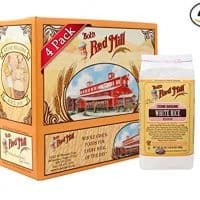 I increased the white sugar to ½ cup, making it a ½ cup of each. The higher sugar to fat ratio helps the cookies to have a delightfully chewy edge as the sugars melt and caramelize. I also felt like the extra sugar solved my oily vegan chocolate chip pumpkin cookie problem from the coconut oil. When mixing my cookie dough, I used a whisk and continued to mix the oil, sugars, and pumpkin until the mixture is no longer oily, which happens as the sugars dissolve into the pumpkin. The pumpkin helps the mixture emulsify so that the oil doesn’t separate out as much. The original gluten free pumpkin chocolate chip cookie recipe from my cookbook required chilling the dough. 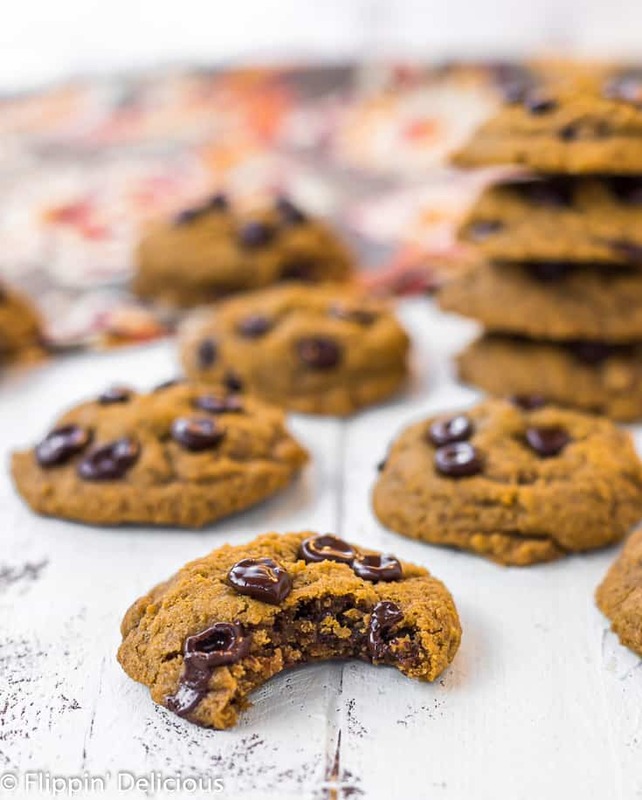 I’m happy to tell you that this vegan gluten free pumpkin chocolate chip cookies recipe needs no chilling! If you do chill your dough to save some cookie dough for a rainy baking day, let it come up to room temperature so it will spread evenly for prettier gluten free pumpkin cookies. If you are craving more gluten free pumpkin cookies, try my gluten free pumpkin spice brownie cookies or my gluten free snickerdoodle cookie cups filled with pumpkin mousse. 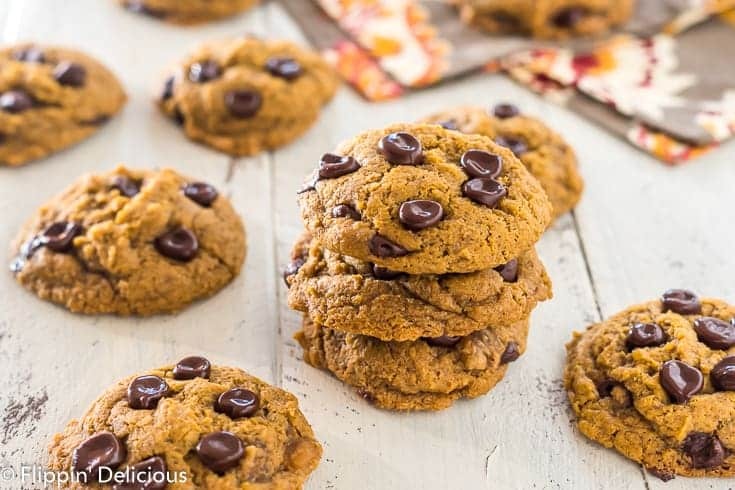 Officially the best vegan gluten free pumpkin cookies I’ve had! I’m happy to say, that I love these cookies 150% more than my original recipe in my gluten free cookie guide. If you have my cookbook, please print out this recipe and paperclip it in your book so you don’t use the old version! I honestly have no idea how many gluten free pumpkin cookies I’ve eaten over the past week. I’m sure it is an obscene number that my pants aren’t happy with. However, my tummy was very happy. Even after all the cookies I’ve eaten, I’d make these today in a heartbeat. Next time I think I’ll try adding craisins and white chocolate chips, or adding some oatmeal. That sounds like one fall-icious cookie! Preheat oven to 350°f. Line your baking sheets with parchment paper or a silicone baking mat. In a bowl, whisk together the coconut oil and sugar. Add the pumpkin and vanilla and whisk until the coconut oil is emulsified and no longer separates from the other ingredients. Add the xanthan gum, sale, baking soda, baking powder, and spices and whisk until evenly combined. Using a spatula or wooden spoon, mix in the gluten free flour until you have s smooth dough. Stir in the chocolate chips. Scoop the cookie dough 3 inches apart onto you prepared baking sheets using a 1 1/2 tablespoon cookie scoop. Bake for 12-14 minutes or until the edges and bottom of the cookies are slightly golden. Let cool on the baking sheets for at least 5 minutes before moving to a cooling rack. 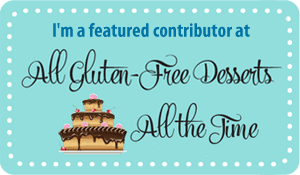 You may use a different gluten free flour, but you cookies may spread a little differently. 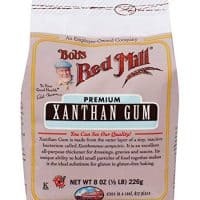 If you are using a blend that already has xanthan gum (or guar gum or physillium husk) in it, omit the xanthan gum called for in the recipe. I love the pumpkin addition in here. Am I wrong in saying that they’re also making the cooking a little orange? Very festive. I was definitely going for a pumpkiny orange cookie! Pumpkin treats are my favorite. Can’t wait to hear how you like them! I almost want to bring these with me everywhere I go this fall, almost anyone can enjoy them since they are top-8-free. I love that you can swap pumpkin for eggs. I wonder if this would work the same for a cake or muffins. What do you think? I think swapping pumpkin for eggs will totally work! I’ve been on a bit of a pumpkin instead of eggs kick the last few weeks. So far I’ve tried subbing pumpkin for the eggs in a drop cookie version of my sugar cookies and it came out perfectly on the first try! I also subbed pumpkin for eggs in a muffin mix. Again, great results. So yes, I think it would totally work! I swapped 3 tablespoons of pumpkin for each egg. You may need to make a few other tweaks and adjustments, like adding a bit more baking powder if you are making something that uses eggs as a leavener. Those do look perfect!! I love all of the big chocolate chips dotted throughout, but agree that they might be great with dried cranberries. Love that these are top 8 free…and that they are so festive looking (orange). I’ve been inspired to make some of my own! 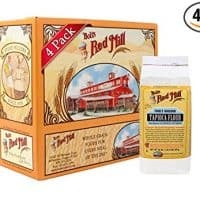 These cookies are on our list of favorites! We try to make them every fall. I bet these can be made vegan easily. I hope to try to make these soon for Thanksgiving. Hi Kathy, I actually wrote the recipe to be vegan. No eggs and no butter, so as long as you use vegan chocolate chips you are set. these cookies sound amazing, and I love that they are gluten free… I think craisins would be a great addition too! These cookies are amazing! I made some a few weeks ago and shared with some friends that eat gluten free and they all came back asking for the recipe! My gluten eating friends loved them too and have been asking for me to make them again. Making another batch tonight for me and all my gluten eating friends. These are honestly so good, I could eat them for breakfast daily and be a happy girl. I also love that they are egg free!